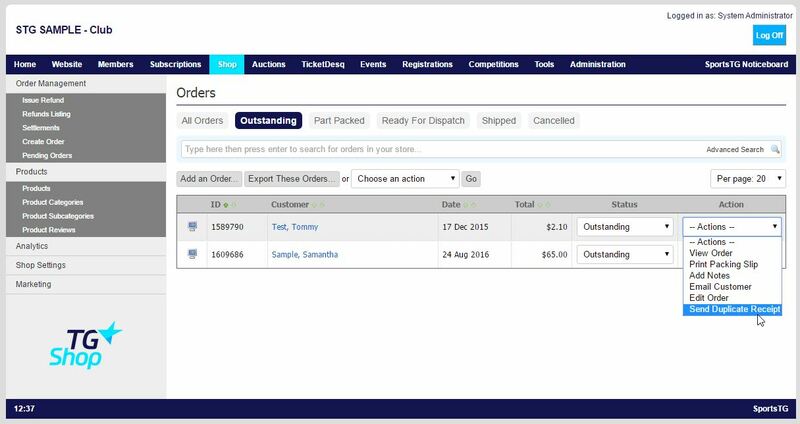 Orders allows you to view all orders that have been placed within your organisation's Shop, and manage these orders from Outstanding to Completed. 2. From the Order Management screen search for the order you would like to resend the receipt for. 3. Click the Actions drop down menu and select Send Duplicate Receipt.